On the 10th October 2018, the Barbican opened its doors once again to the public to showcase their new exhibition as part of the centre’s The Art of Change, a year-long season focusing on the relationships between art, society and politics. 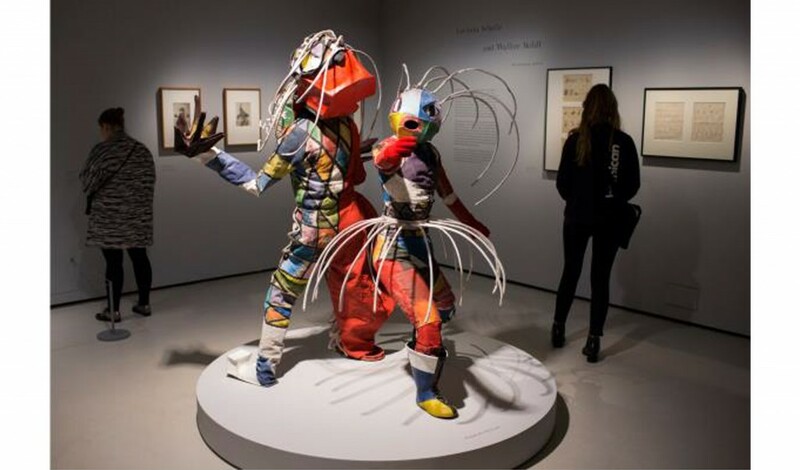 The exhibition is called ‘Modern Couples – Art, Intimacy and The Avant-Garde’. It is a celebration of couples who have had a significant impact on art, music, politics and literature over the 20th century. Focusing on the range of different relationships these couples had, whether they be obsessional, conventional, fleeting, mythic or life-long partnerships, this exhibition gives us an insight into the private, intimate relations and creations that shaped modern art and redefined gender stereotypes. This journey of discovery is laid out through a maze of rooms, where we discover the deepest, darkest secrets about these couples through a showcase of various love letters, personal photographs, gifts and archive material. Couples that are featured range from notorious pairings to those that were relatively unknown. Featured couples are Diego Rivera and Frida Kahlo, Jean Arp and Sophie Taueber-Arp, Auguste Rodin and Barbara Hepworth and Virginia Woolf and Vita Sackville-West and Federico Garcia Lorca and Salvador Dali. Frida Kahlo and Diego Rivera were an odd pairing; Rivera was significantly larger than her in size and twenty years her senior. They were known as ‘the elephant’ and ‘the dove’ by her parents. Yet, their love for each other was legendary. Frida Kahlo’s unfortunate start in life makes her one of the more memorable tragic artists. An accident, at eighteen years old leaving her with a broken spinal column, pelvis, collarbone and ribs. The accident was something that would be a defining feature in her life, alongside her daring art. However, she also alludes to her relationship with Diego Rivera as ‘the other accident’. 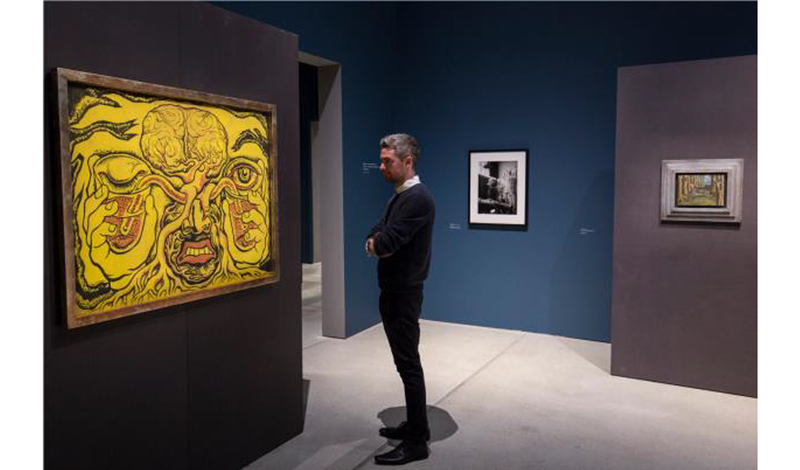 The relationship between the two artists was turbulent, to say the least. But the two had one of the most intense relationships, deeply impacting each other’s work, art and lives for over 20 years, and earning the title of two of the most important artists of their time. 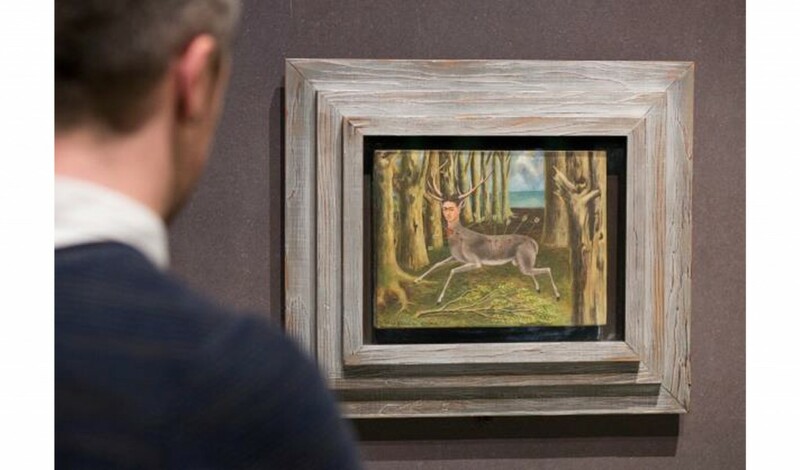 As we enter the room we are greeted by Kahlo’s famous painting The Wounded Deer (1937). The painting encapsulates Kahlo’s pain from her physical injuries, as well as alluding to the frailty she feels from the pain of her love for Rivera. Rivera’s Les vases communicants (1938) is also featured. What is interesting about the work displayed in this exhibition is that it holds the key to the pain within their relationship. One is exposed to the intense, complicated emotions that surrounded their bond. The affairs, the abortions and the divorce. One does not have to look carefully at these paintings to understand the tensions that surrounded their marriage. Legendary duo, Sophie Taueber-Arp and Jean Arp are two of the most noteworthy artists of twentieth-century avant-garde. After meeting in Zurich in 1915, they had found their two passions in life: art, and each other. They became founders of the revolutionary group Dada, an art movement formed in negative reaction to the First World War. 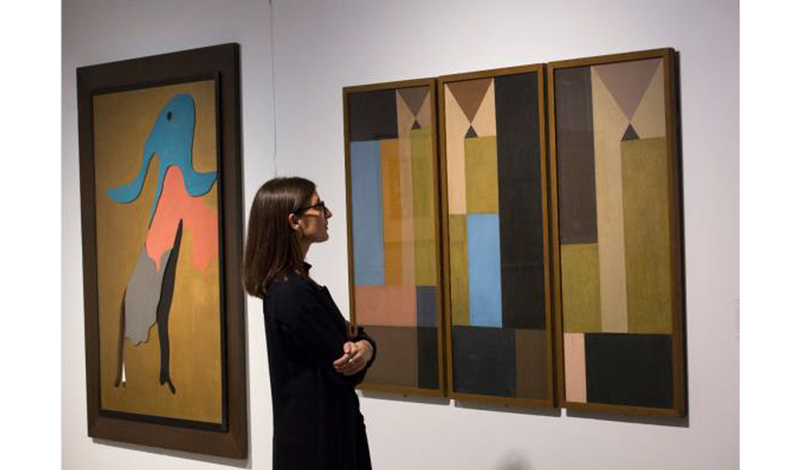 Together, they created some of the most positive abstract art of the twentieth century including geometric collages, concrete art and wood sculptures, and discovered new ways to approach art. The couple became selective in their use of materials, deciding to give up their use of oil colour completely later on, as an attempt to avoid any reminder of ‘a pretentious and sufficient world’. Their influence on surrealism, Dadaism and abstract art lives on through their work, which continues to make an impact on society today and inspire others, as the couple’s intention to ‘simplify and transmute the world and make it beautiful’ lives on. Literature plays a key part in the exhibition, and there is a significant focus on the relationship between Virginia Woolf and Vita Sackville-West. 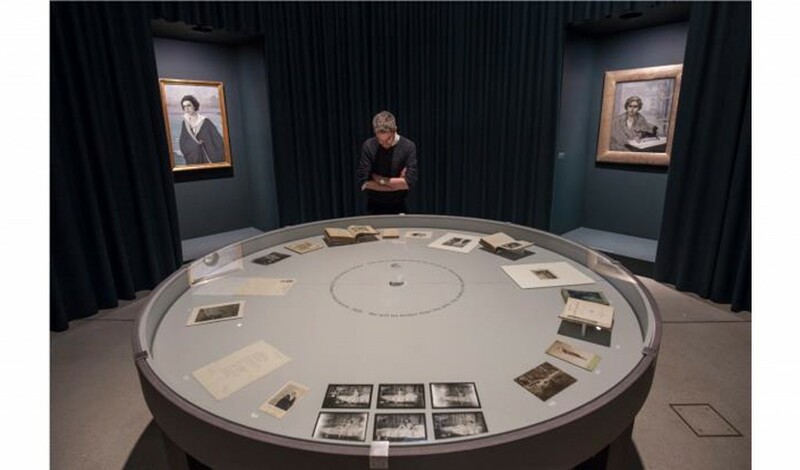 Woolf’s original manuscript of her famous text, Orlando: A Biography, 1928, is showcased here, alongside a collection of 35 first edition books written with her husband, Leonard Woolf. Their infatuation with one another was so intense that at one point Sackville-West claimed that she had been ‘reduced to a thing that wants Virginia.’ However, surprisingly, Woolf and Sackvile-West’s relationship was not one that would cause scandal or upset. Their once heated passion for one another cooled off peacefully into a friendship, and didn’t break up either of their marriages to men. Leonard Woolf regarded the relationship as ‘rather a bore…but not enough to worry him.’ Sackville-West became Woolf’s complete muse, she even inspired much of Woolf’s work, which would change the politics of LGBT love in the period. The letters shown in the exhibition are engaging and evocative. The words are poetic and beautiful, echoing the love they felt for one another. 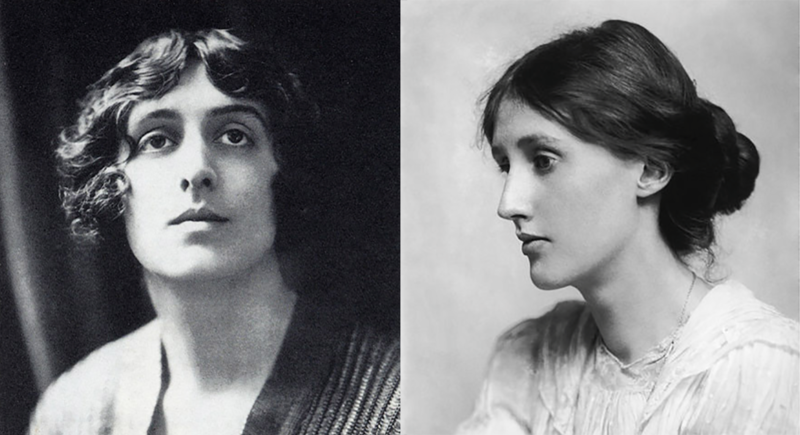 Reading the letters allows one to feel the passion that the women felt when they were writing these words of ardour; they truly put us in the shoes of Woolf and Sackville West during the height of probably the most life-changing relationship both of them had throughout their whole lives. Federico Garcia Lorca: an internationally recognised Spanish poet and author. Salvador Dali: a prominent Spanish surrealist known for his surrealist work. Both were incredibly successful in their own right. Both remained entangled in each other’s lives for the majority of their working lives. There is an air of mystery surrounding their relationship that fascinates people to this day, as their connection was strongly rumoured to be more than just friendship. Researchers claim that the nature of the letters exchanged between the two from 1923 to 1936 proves that a romantic relationship had occurred between them. 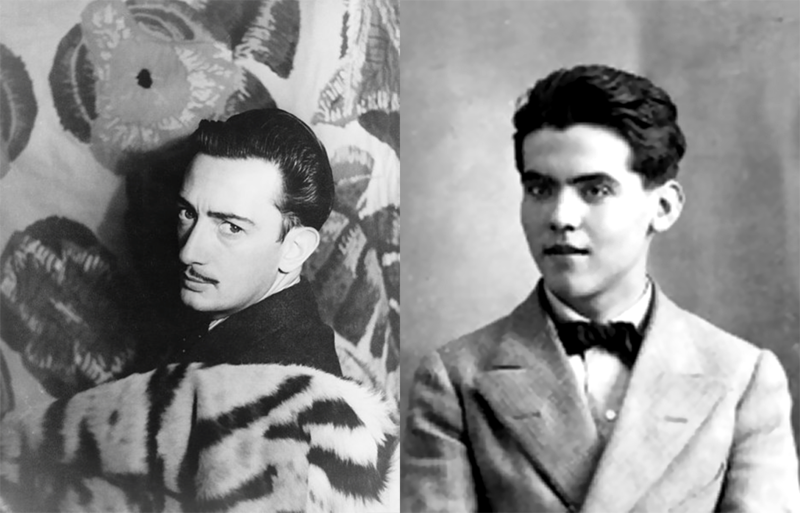 Although Dali denied the nature of their relationship, it was said that he talked about Lorca more than he would his own wife. 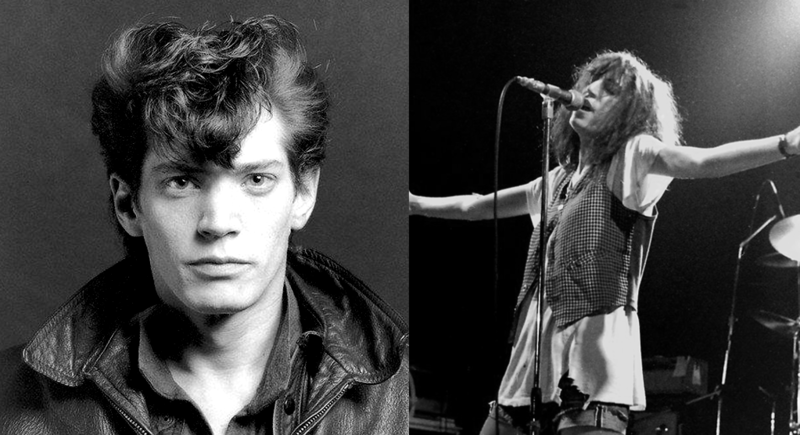 Here at .Cent, some other iconic couples which we are taking the time to reminisce over this month are: Patti Smith and Robert Mapplethorpe and Robert Browning and Elizabeth Barret-Browning. In New York City in the late 60’s and 70’s there was Smith, a poet, artist and rock star. Then there was Mapplethorpe, a photographer. Both started out with no money or connections, but slowly managed to find success and each other. Before that success, they were known to have had a colourful relationship full of love affairs, nightclubs, creative collaborations and living in down and out neighbourhoods. During this time they dedicated their lives to making art and looking after one another. They weren’t in each other’s lives forever, their relationship would come to an end sometime before 1979 when Smith left New York to live with her future husband, Fred Smith. 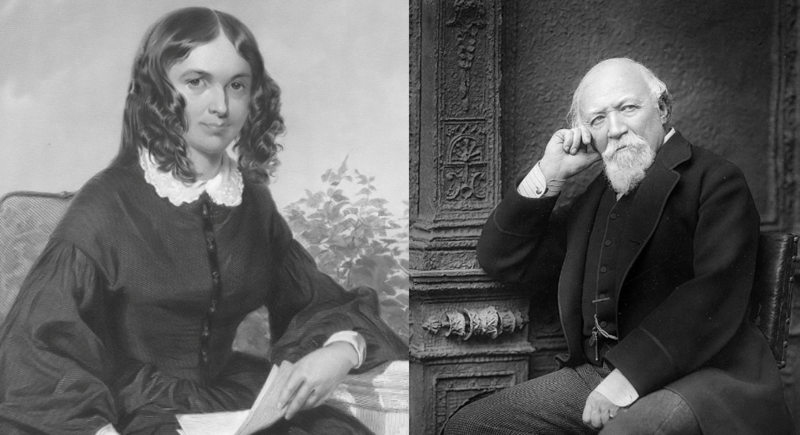 In 1846, over a century before Smith and Mapplethorpe’s time, there was another creative relationship of importance, Robert Browning and Elizabeth Barret-Browning. Barret-Browning was born with wealth but suffered from ill health. She grew into a respected poet that also published literary criticism and Greek translation. Browning, the son of a bank clerk also had position and fortune in his upbringing, and was a poet too. His work was heavily criticised, but praised by his future wife, Barret-Browning. They met through their love of poetry, as Browning asked to meet this individual who had defended his work. Their relationship would cause heartbreak within the family. Her father did not approve of their union, and their eventual marriage meant that she would never see her father again. During their marriage, she published her best-known works, Sonnets from the Portuguese in 1850, and her blank-verse novel, Aurora Leigh in 1857. Browning often stood in his wife’s shadow, and was often referred to as ‘Mrs. Browning’s husband’. Yet Browning managed to find his success eventually, publishing The Ring and the Book in 1868, a lengthy poem about a 17th-century murder trial in Rome.